Leyton Orient win 4-2 on penalties. Carlisle win 4-3 on penalties. Notts County win 3-1 on penalties. Four goals in seven minutes handed Dagenham a 5-2 win at Southend in the second round of the Johnstone's Paint Trophy. The Daggers went in front in the 26th minute when Zavon Hines headed home a left-wing cross from Rhys Murphy. 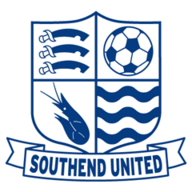 The Shrimpers hit back at the start of the second half with substitute Cauley Woodrow bagging a quick fire brace. First the on-loan Fulham striker nodded in a left-wing cross from Ben Coker in the 51st minute before he tapped home from close range two minutes later after Dagenham goalkeeper Jordan Seabright parried a long-range shot from Kevan Hurst. The visitors equalised when Brian Saah headed in Matthew Saunders' free-kick in the 58th minute and, just two minutes later, Hines volleyed in to the back of the net from close range. 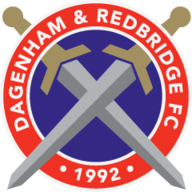 Dagenham made it 4-2 in the 64th minute when Chris Dickson tapped home after keeper Paul Smith had fumbled a Saah shot. Smith then failed to gather Luke Prosser's backward header and Afolabi Obafemi converted the fifth. The only downer of the night for the Daggers was a late red card for full-back Gavin Hoyte for a poor challenge on Coker.